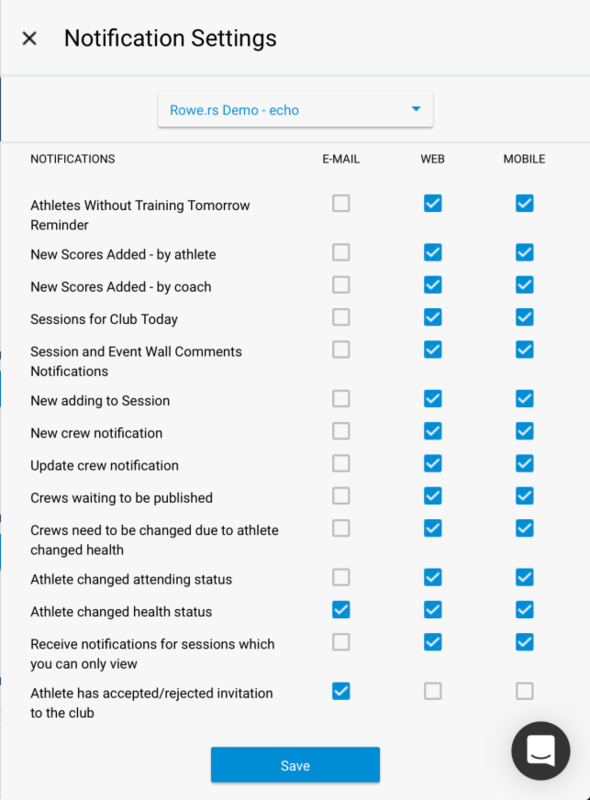 Rowe.rs sends a number of notifications depending on actions that occur in the Mobile or Web Apps. As an user you have full control where your receive your notifications. There are 3 types of notifications that you will receive in Rowe.rs. Email: An email is sent with the contents of the notification. 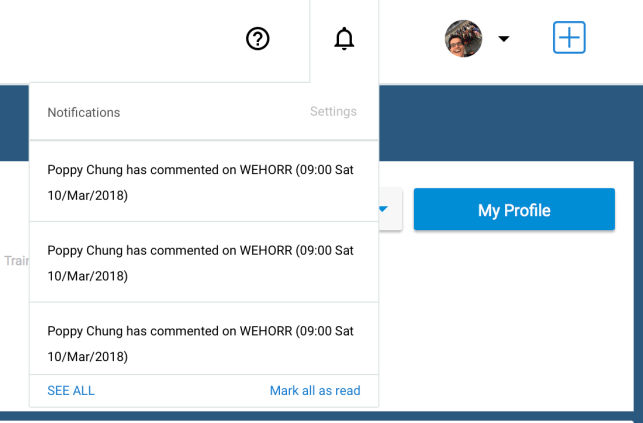 Web: A notification appears in the notifications box in the web app. To find the settings of your notifications. Login to Rowe.rs on the website (app.rowe.rs) and you will be on the dashboard. In the top menu next to your profile image there is a Bell Icon. Select this and it will open a box of recent notification.